Plot: The Demigod son of Poseidon goes on a quest to retrieve the Golden Fleece in order to save his home. 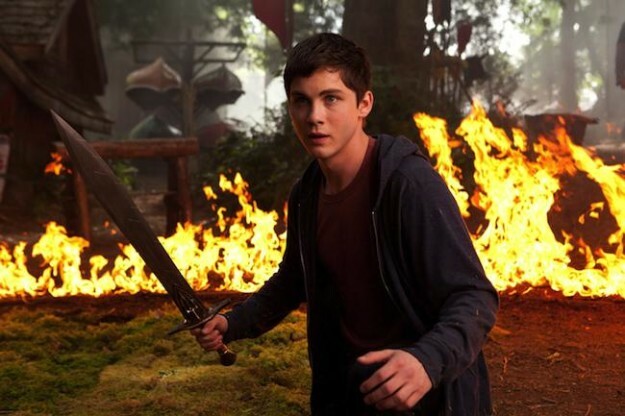 At the end of the day Percy Jackson: Sea of Monsters does what it sets out to do, and there’s no real fault in the acting, editing or direction. It’s just that what it sets out to do isn’t particularly new, or even that ambitious. You’d be hard pushed to find a more bog standard family fantasy than Percy Jackson: Sea of Monsters. All the elements are there – you’ve got your quests, your silly dialogue and your CGI monsters (the kind that look like they’re from a fantasy Top Trumps set) – and the film ticks all the boxes you’d expect it to tick; it’s amusing and entertaining in places but it’s also very predictable, and ultimately a bit bland. If you haven’t heard of the Percy Jackson series (or seen Percy Jackson & the Lightening Thief, the first instalment), the story basically revolves around a boy who’s a half-blood (fantasy talk for half-human, half-God) and the son of Poseidon. The upshot of which is he’s got a few father issues and (as you’d expect) some handy magical powers. Sea of Monsters is the second instalment in the series – which feels almost like a mish-mash of the Twilight saga and the Chronicles of Narnia – and it follows Percy (Logan Lerman) on his quest to retrieve the Golden Fleece from the Sea of Monsters (or, to us mere muggles, the Bermuda Triangle). The plot is well-paced, the action sequences and the special effects are decent enough, and the dialogue is amusing in parts, but the film has little else to offer. The screenplay is chock-full of the type of clichéd lines that often worm their way in to blockbusters (the kind you’d find in countless other forgettable films), and you can predict most of what’s going to happen a mile away. The main problem is the film feels a bit too safe – whether Percy and his gang are being pulled into the mouth of a gigantic sea monster or are being chased by a grumpy Cyclops, there’s never any real sense of threat. 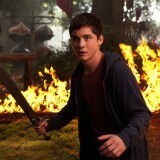 We know none of the characters are going to sustain any notable injuries – let alone die – and this blunts any feelings of danger; we end up simply waiting to see which power Percy will use to overcome the next obstacle, or which of his friends will come and save the day at the last minute. Obviously the film is targeted towards families and any danger or risk is going to be muted to a certain extent, but still… most Disney films out there are darker.